I think by now most people know about Photoshop and Illustrator, and many small business owners know how great they are for editing photos, adding watermarks, creating graphics and designing quote images for sales, promotions and social media sharing to boost your brand. What you also probably know by now is that Adobe has been raising their prices significantly over the last few years, so much so that now the cost of the (somewhat cheaper) teacher/student edition of the Creative Cloud monthly subscription is fairly prohibitive for a micro business owner (hello!) – even more so for those of you who are only using the software occasionally, or not using it to it’s full potential. So I’m here today to give you some FREE alternatives, that are both simple and intuitive to use, and can do most (if not all) of the things you need them to. As a professional freelance graphic designer (and photographer in the past), I’ve been using the Adobe Creative Suite (mainly Photoshop, Illustrator and InDesign) for over 15 years. I literally teach other people how to use these programs at my local University and doing in-person workshops for small business owners for the last 8 years. But today’s post has nothing to do with these programs, because I don’t believe in getting you to pay for something that you don’t need to be paying for. I’m ALL about the scrappy, bootstrapping, DIY method when you are first starting out in biz, and even as you are growing your business to a sustainable level – you really need to be saving as much cash as humanly possible while you’re in those early stages. And spending extra dosh on programs and software is NOT what we want to be doing. So I’ve got some alternatives for you, and you’re going to LOVE them! But I’m not going to list out a bunch of free options and make you sift through the features and work out which one might be suitable for you, because who has time for that?! I’m giving you just two recommendations – I’m all about finding something great and just going with it. [UPDATE] I’m bummed to report that PicMonkey is no longer free, you do have to sign up for at least the 30 Day Free Trial to be able to download the images you create. PicMonkey is really great for image touch-ups, re-sizing images, cropping, creating circular graphics with transparent backgrounds, placing watermarks over images, creating themed (think holidays – Christmas, Mother’s Day, Halloween etc) graphics, quote images and so much more. You can find a massive amount of inspiration (along with tips and tutorials) on the PicMonkey YouTube channel – check out the “PicMonkey + Your Business” section for some great stuff that you could get started with today! When you go to the PicMonkey site (at the time of writing this), it implies you need to sign up to be able to use the service – either for a free trial or or a monthly fee in different pricing tiers. Here’s my hot tip though: you don’t. Just click on one of the icons at the top of the page (“Edit”, “Touch Up”, “Design” or “Collage”) and you can start editing right away, and save the result directly to your computer once you’re done. Canva has oodles of free templates for various designs you can use as a starting point, and you can also choose to start a design with your social media platform of choice in mind, so you get the exact right size for your graphic without having to go searching for dimensions according to the latest facebook update – total time saver. Canva does have a bunch of great stock images you can use for free, or “premium” photos for just $1 (US) each, but you can also upload your own images for free, so I recommend you find the stock images you want from a free stock photo site such as: Pixabay (my go-to), StockSnap, Pexels, FancyCrave, or Plixs and upload them yourself to use in your designs. My second hot tip: Spend a couple of hours browsing through all the free stock photo sites that allow commercial use and save ALL the images that align with your brand and visual aesthetic, building up an image resource library on your computer that you can grab an image from whenever you need it – again this can save you loads of time later! The Canva YouTube channel is also really valuable, they have some great tips on the actual design of your graphics too. 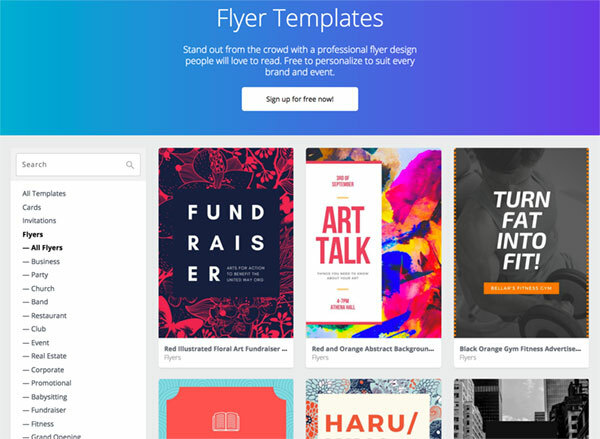 Once you sign up for a Canva account you can save all your designs to re-edit later or download them to your computer – you can now even save your graphics as simple animated gifs! So if you’ve been weighing up the pros and cons of investing your hand earned profits into software for photo editing and graphics creation – there’s really no need. Jump on board these free solutions, and I bet you’ll be pleasantly surprised at how far they will take you before you need to upgrade to anything more robust. If you’re keen to know more about the theory of design (so you can really nail those graphics you’re creating), you might want to check out my eBook: Design It Right. It’s a short but jam-packed guide to the design process, typography, layout, and the elements and principles of design. 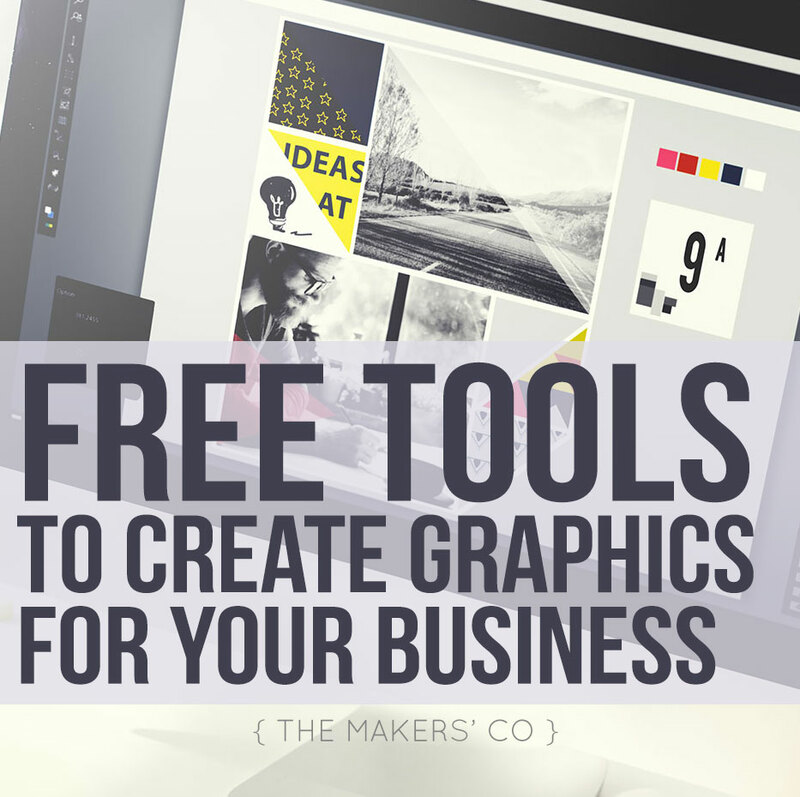 Let me know in the Makers Co community group if you use either of these programs, what you’ve created using them, what limitations you’ve found with them and if you have any other software or app recommendations for your fellow biz owners!